A New York museum will celebrate Deccan sultanate’s golden age | Business Standard News. Shaikh ‘Inayatallah Kanbu of Delhi finished his romantic tale the Bahar-i Danish (‘The Springtime of Knowledge’) in 1651, a collection of Indian tales held together by the frame story of the romance of Jahandar Sultan and Bahravar Banu. No early illustrated copy seems to have survived. A previously unknown manuscript of the text illustrated with 118 miniatures appeared recently at auction from the collection of the Duke of Northumberland (Sotheby’s, London, 8 October 2014, lot 275). Although undated, this manuscript goes some way to fill the gap in Mughal manuscript illustration between the end of the reign of Shah Jahan (r. 1628-58) and the revival of the imperial Mughal studio in the 18th century. The present writer was able to study it closely and concluded that the text was copied around 1700, that there were three illustrative campaigns, the first two of which were contemporary with the writing, but that the third campaign was undertaken later, almost certainly in the 1720s in the imperial studio of Muhammad Shah (r. 1719-48). The illustrations in this third campaign seem preparatory to the paintings by Govardhan II in the Karnama-i ‘Ishq, the finest known imperial manuscript from the 18th century (BL J. 38, see Losty and Roy 2012, figs. 138-45). There are very few good quality Mughal manuscripts from the latter half of the 17th century with which this manuscript could be compared. Shah Jahan was interested in manuscript illustration only for inclusion in his chronicles, while under the puritanical Aurangzeb (r. 1658-1707) painting was discouraged along with all the other arts of the court. Artists must have sought other employment in this period whether with princes and noblemen or else in a more commercial environment. In searching for other illustrated manuscripts of this text, an unexpected find was a hitherto ignored but important Mughal illustrated manuscript with 126 miniatures in the India Office collections in the British Library (numbered IO Islamic 1408, Ethé 1903, no. 806), the subject of the present note. Although inscribed as a Johnson manuscript and hence collected by Richard Johnson in India before his return to England in 1790, it is not certain that the inscription is correct. However, a note in an old hand mentions Alexander Dow’s partial translation (published 1768) but not Jonathan Scott’s complete one of 1799, suggesting that the manuscript was already in a contemporary collection. Even more interesting was the discovery that it is another version of the Northumberland manuscript. Its miniatures are also divided into three distinct campaigns to be discussed below and have the same compositions and colouring, except that the third campaign in the ‘Johnson’ manuscript is a continuation of the style of the first campaign. As two of the earliest if not the earliest illustrated versions of this text, these manuscripts, by far the finest known illustrated versions, assume a particular importance. Their style is derived from the 17th century Mughal style, as they are copying the Shahjahani style albeit in a simplified manner. This comes through particularly in the costume details in the three illustrative campaigns, which all show the jama (gown) at mid-calf length in vogue in the mid-17th century. 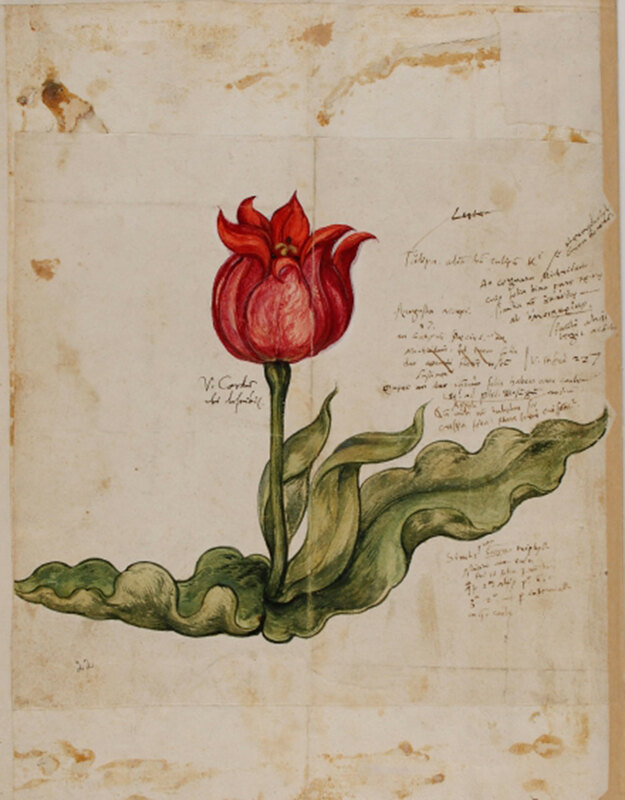 Both of the manuscripts must be based on a no longer known exemplar from the 17th century, perhaps the first illustrated version done under the author’s supervision. Indeed the Northumberland manuscript refers to a lacuna in its exemplar (f. 101) which in the Johnson manuscript is filled with a painting, so that there can be no question of one being copied from the other. In the third campaign in the ‘Johnson’ manuscript there are several preliminary drawings and unfinished paintings. suggesting that the different paths taken in the third campaigns are because the original exemplar was unfinished. The Persian poet and mystic Jalal ad-Din Muhammad Balkhi (1207-1273), better known as Rumi, endures as one of history’s most beloved and oft-quoted thinkers. A handful of Persian accounts of Rumi’s life have been written, most famously the first by his son and the third, focusing on Rumi’s moralizing miracle stories, ordered by Rumi’s grandson and written by the dervish Shams al-Din A?mad, called Aflaki (d. 1360). In 1590, some three and a half centuries after Aflaki’s writings, the Ottoman sultan Murad III ordered a Turkish translation of a 1540 abridged version of Aflaki’s text entitled Tarjuma-i Thawaqib-i manaqib (Stars of the Legend). Two illustrated copies of the Murad translation survive — one, dated 1599, is held by Istanbul’s Topkapi Palace and features 22 miniatures; the other, a more lavish manuscript dating to the 1590s and including 29 miniatures, is held by New York’s Morgan Library. miniatures, is held by New York’s Morgan Library. Just months before his death, Eqbal Ahmad, great Pakistani political scientist and writer gave this lecture in Colorado. He talked about who and what defines terrorism. When Muslim rule expanded into the eastern Mediterranean regions and western Asia, they came into contact with the diverse pre-Islamic science and learning traditions of the Greeks, Persians, Indians, and Chinese. A vast movement of translation, development, and innovation took place between the eighth and ninth centuries where scientists and scholars from various religious and ethnic backgrounds worked together and achieved scientific advances. Tracy Chevalier’s 1999 novel Girl with a pearl earring was inspired by the magnificent painting by the Dutch artist Johannes Vermeer. Griet, the heroine of the Chevalier novel, always wore a distinctive white cap. Chevalier explained that behind Griet’s symbolic cap was an idea originally from the Bible, which considered women’s hair to be seductive and therefore subversive. Chevalier built upon that idea, as if Griet’s cap served to shield the wilder and more sensual side of her persona that she did not want to reveal to others. In Japanese folklore, more specifically the stories known as Otogizōshi 御伽草子, we find another girl who always wore an impressive object on her head. This extremely odd piece of headgear led her to be known as “the girl with a kneading bowl” (Hachikazuki 鉢かづき). While leafing through books on world history, one might come upon the famous portrait of Mehmed the Conquer by renowned Italian artist Gentile Bellini, depicting the sultan under a carved stone arch, a symbol of power since the Roman period. Commissioned by the Venetian Republic to paint portraits of the sultan and his court, Bellini was one of the first Western artists to travel to Istanbul and was a source of inspiration for his following counterparts. 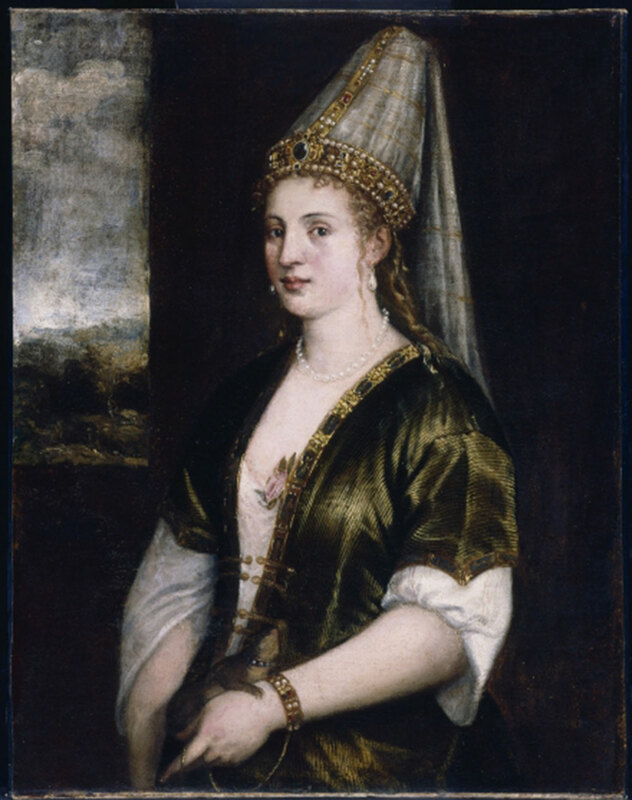 The exhibition “The Sultan’s World: The Ottoman Orient in Renaissance Art” explores the perception of Renaissance artists who reflected an imperial culture in their works. It is at the Center for Fine Arts (BOZAR) in Brussels until May 31. The exhibition contains works from notable Renaissance artists such as Bellini, Albrecht Dürer, Hans Memling, Paolo Veronese and Titian. 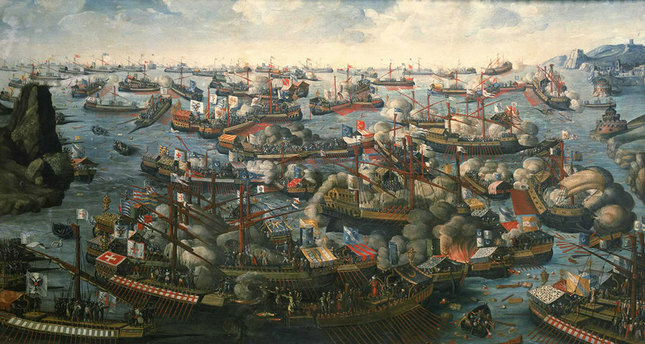 Organized within the context of the EU-supported project Ottomans and Europeans, the exhibition showcases nearly 160 works of art and precious objects including Ottoman weaponry, scientific instruments and manuscripts. Opened on February 27, “The Sultan’s World” shows a fascinating mutual attraction and cultural exchange that deserves to be covered in depth. A glance at certain Renaissance artists such as Sandro Botticelli, one of the most acclaimed Italian painters from the Florence School reveals an interesting component of European paintings – Islamic carpets. 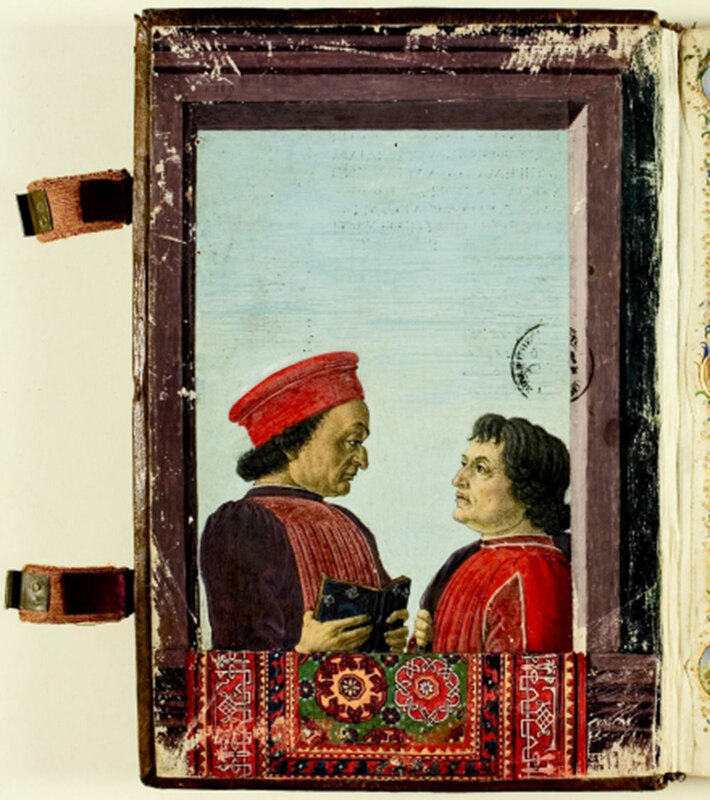 Botticelli’s portrait of poet Cristoforo Landino and author Federico da Montefeltro features a Holbein carpet. Named after German painter Hans Holbein the Younger, who depicted a similar carpet in one of his works, the carpets were woven in Anatolia in the 14th century and became popular in Europe a century later. The images of these priceless textiles were first seen in religious paintings and later in portraits, as an indication of high social and economic status.